I had planned to start Eloise on solids this weekend, after the longing looks I have been getting whilst I eat and the fact that she has stopped sleeping through every night. After the 90 minute party she wanted to have at 3am last night, the first thing I did the morning was whip up some baby food! I hate rice cereal, it has no nutritional value and I find vegetables on their own to be bland enough for their new little taste buds. 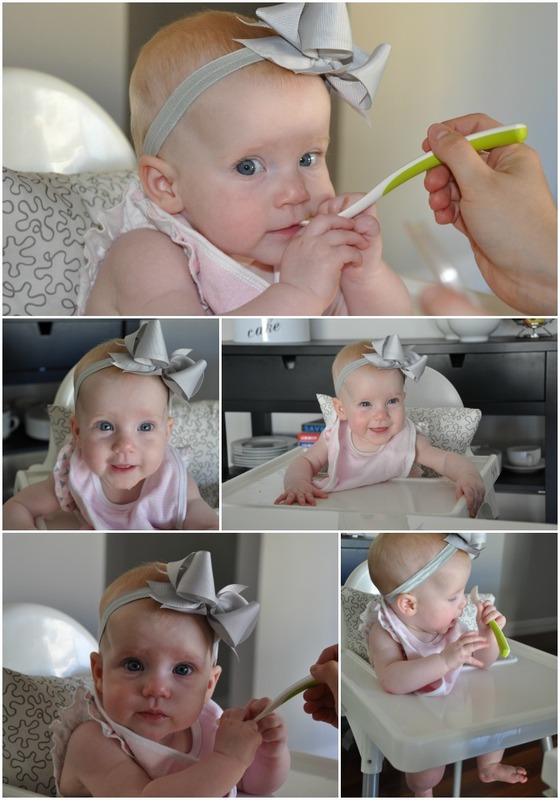 What was your bub’s first food?